STEAM is an integrated curriculum that combines science, technology, engineering, art, and math studies. The goal of STEAM programs is to increase the competitiveness of our students in science and technology fields, where experts say our children are most likely going to be looking for jobs. STEAM emphasizes twenty-first century skills. Instead of focusing on memorization, STEAM builds reasoning and problem-solving skills. STEAM allows us to explore the specific interests of our class. STEAM supports overall academic growth by increasing a student’s higher-level academic skills, like critical thinking and reasoning skills. STEAM fosters and early love for traditionally “hard” subjects like math and science, while also teaching technological skills at an early age. How Does Bright Start Incorporate STEAM into Their Every Day Curriculum? Technology: Since the American Academy of Pediatrics recommends limiting preschooler’s screen time, Bright Start has a strong focus in “simple technologies” that many preschoolers have not directly worked with. These include: timers and stopwatches, kitchen scales, beam balances, rulers, measuring cups, pipettes, funnels, and magnets. Additionally, we do incorporate some screen time, like accessing zoo animal feeds, individual student computer exploration, virtual field trips, and limited educational videos (because NASA has some awesome two-minute videos!). The Pre-K class also assists in making our end-of-year slideshow we show at graduation! 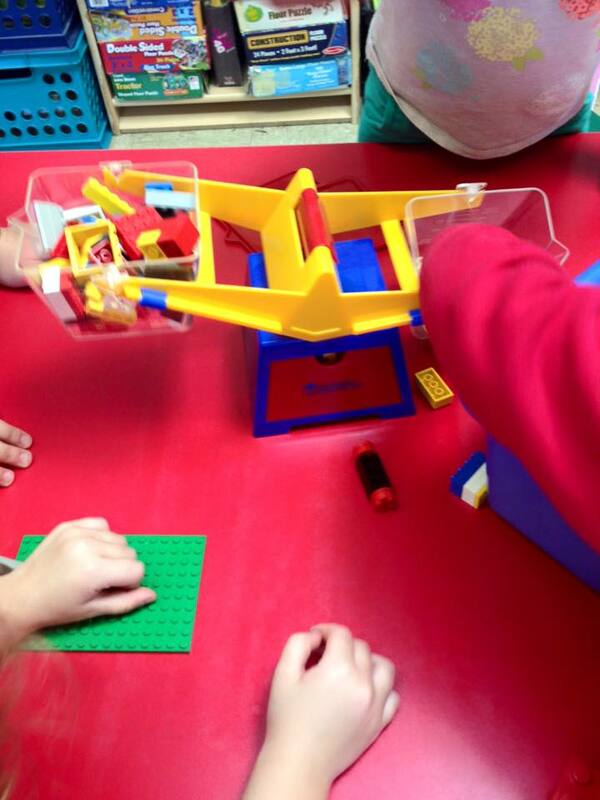 Engineering: Every classroom is filled with manipulatives that provide building challenges for our students. These can include bristle blocks, wooden blocks, K-Nex, and Tinker Toys. We also have engineering-specific toys like magnet sets, marble runs, and sets that build letters and numbers. Art: Many art projects throughout the year will have a scientific basis. Examples include: making bird feeders, creating a project out of shapes, collaging, and making animals or dinosaurs to complement a unit. Math: Pre-math skills emphasized throughout the school include: sequencing, patterning, sorting, beginning number sense (counting with one-to-one correspondence, identifying and writing letters 0-9), part versus whole, positional words (under, over, behind, etc), shapes, measurement, and more or less. Bright Start is committed to instilling a love of STEAM instruction from a young age, so our students leave our school excited to refine and add to their skill set in elementary school!